First, news broke of its death. Then the obituary was written. Now, like a character in a soap opera, Burger Time looks to be back from the dead. The drive-through restaurant on Orchard St. in Boise shut down in January - but is already teasing its rebirth. And like a good soap actor risen from the dead, the restaurant will come back with a bit of a facelift. Crews have been repaving the old, scarred parking lot. As they say in the soaps... stay tuned! Boise arts dept. tries again for Vista art; which do you like best? The City of Boise hopes to add public art to a series of grassy medians on Vista Ave. near the Boise Airport. The project would put $147,000 in funding toward a series of art projects. The project will be funded from the Together Treasure Valley initiative and a Community Development Block Grant. This is the second attempt to select a project. An earlier try was nixed by the Boise City Council after a similar public feedback process. The first round featured three local artists. The latest set of proposals do not carry the names of the artists, but at least one proposal references being "visitors" to Boise. Three proposals have been selected, and the City's Department of Arts & History is asking for public feedback. "The Avenue serves as a major gateway for many people; from the daily commuter to travelers from the Boise Airport. This structure will serve as an introduction, or welcoming entryway, to the Treasure Valley and even the State of Idaho." 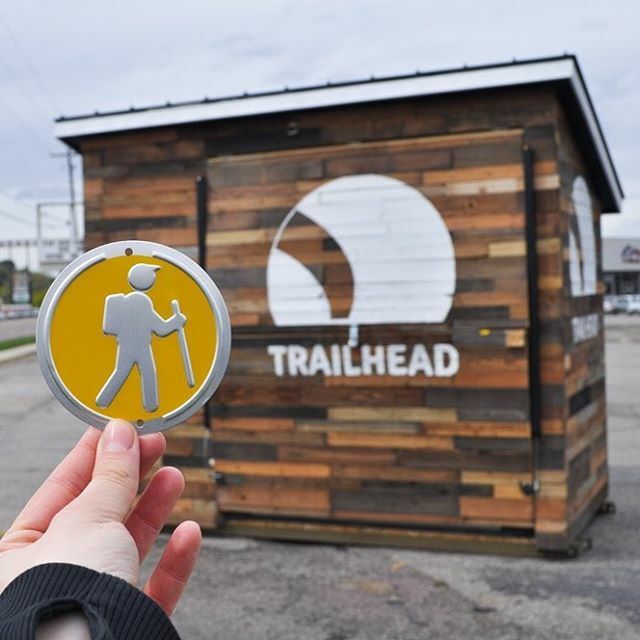 A series of four structures about 13' in height would be constructed in series over two blocks - between Malad St. and Targhee St. Each would be made primarily of metal, with internally lit LED lighting and would represent the seasons. The top of each piece would rotate and sway in the wind. Our four majestic sculptures are designed to stand out from their surroundings. Bright colors and gentle wind derived movements are intended to attract motorists’ and pedestrians’ attention from a distance and produce a momentary “wow” reaction of enjoyment and curiosity. Moving elements are purposely placed high up on the sculpture to avoid issues of safety and vandalism. 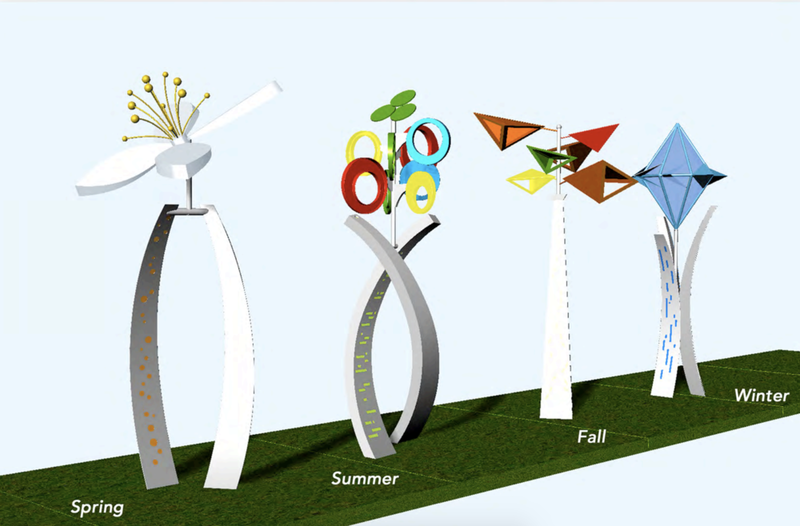 These sculptures will be an identifying signature piece at the gateway to the city of Boise. A set of 12 gates made of metal would be built with heights varying from 3'9" to 13' would dot the medians. Each gate is designed to echo the foothills, plateaus and mountain peaks of the Boise Front. Each would be arrayed in a triangular shape with steel tubing. Sculptural mountain peaks, plateaus and foothill formations are placed through the medians mirroring how the landscape transitions in the Treasure Valley and throughout Idaho. Mountain ranges and valleys are like waves that cross the state. A sense of geometry emerges from the movement through mountain landscapes and valley basins; a peak and a trough giving way to another peak. A set of four aluminum sculptures designed to look like waves would be fashioned using a water jet tool. The sculptures would vary from eight to 11 feet in height and eight to 14 feet in length, and would be placed in series over the two-block stretch from Malad to Targhee. The pieces would be painted in bright colors - shown as blue in the sample drawings. The purpose of this series is to provide a sense of place and identity for the Vista Neighborhood’s residents while functioning as a bright and welcoming gateway that celebrates the key arrival point into the City from the airport. In addition, the sculptures aim is to engage the public as it invites them to contemplate its colors and shapes. By day the sculptures will interact with the sun with its varying angles and brilliant colors. You can tell arts & history leadership which project you like the best by visiting the project page and filling out the form at the bottom of the page. In just five short years, a piece of artwork has become a landmark on the Boise Bench. Artists Anna Webb and Reham Aarti worked together to install a mosaic with more than 300,000 tiles in a traffic calming circle near the Boise Depot throughout the fall of 2013. Now, the tile mosaic is set to be torn out and replaced with a plain brick traffic circle. The piece, known formally as Infernum Bestiae, took months to install. Now, after several years, the artwork has to go, according to City of Boise officials. The reason? Damage. "We are experiencing a loss of tiles and deterioration of the tiles," Jennifer Yribar with the City of Boise said. "Everyone was very proud of this artwork and still are. 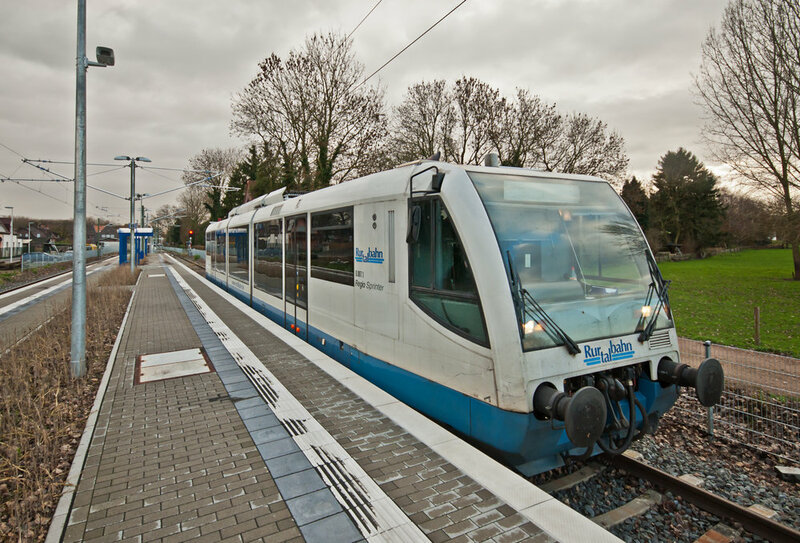 The loss of tiles is due to a number of factors - including the weather and heavy construction and emergency vehicles going over the roundabout." Yribar said contraction in the concrete under the mosaic and fissures in the substrate has also led to some of the tiles popping off the piece. Artists Webb and Aarti wouldn't comment on the record about the plan to remove the artwork, but a public records request filed by BoiseDev showed Aarti has asked to reclaim one or more of the tiles. The city said she would have to get approval from the Ada County Highway District. ACHD spokesperson Nicole Dubois says her agency is OK with the salvage job. "The artist is welcome to salvage the mosaic," she said. "I know she has been in contact with our traffic department, but do not know the timeline of when/if she plans to do this." But city officials say they've only approved the removal of a single tile that had "sentimental value about her father," Yribar said. The city says it still owns the artwork, and Boise City Council hasn't approved removing more than a single tile. "Following Council approval of the deaccession, a window of time may be identified by the City of Boise and ACHD for the artist to salvage material, but we need to wait until the artwork is officially deaccessioned," she said. "We will inform Reham of this course of action." The city and the Depot Bench Neighborhood Association worked to install the initial piece as part of the Neighborhood Reinvestment Grant program. City spokesperson Mike Journee says they hope to approve more long-lasting art projects going forward. "Obviously this was expected to last longer," he said. "We are taking this as a learning experience - probably in hindsight we wouldn’t have moved forward knowing the challenges, and are hoping to move forward with better practices moving forward." The city and neighborhood association say they are working together for a new piece of art in the area to make up for the soon to be demolished roundabout piece. "When the Depot Bench Neighborhood Association was informed about this we were certainly disappointed," Depot Bench Neighborhood Association President Jennifer Visser said. "However, we do understand that if they have attempted to repair it and it's still crumbling that it isn't standing the test of time to be a long-term installment." The city and DBNA are working together for a replacement project in another location. "A number of months ago, three representatives from the Arts and History Department attended our board meeting to inform us about the likely removal of the art in the roundabout and also took initial input on new proposals," Visser said. "Since then we have been in communication about concepts and intend to work with the city within their normal guidelines to go about a new replacement art installation." "We still have to work with the neighborhood association to locate a site for the artwork, to identify the theme for the artwork and the type of materials that will be used," she said. "We will probably be going out with a call later this summer or early this fall." Rockies Diner, the nostalgia-themed diner on Overland Rd. is for sale. The business is listed for just less than $400,00 to take over -- but the price does not include the use of the Rockies name, which would have the licensed separately. The diner has been a fixture on the Boise Bench for the last 20 years, and was an offshoot of a drive-in location on Fairview Ave. which has long since closed. The listing says the business has positive cash flow and a long-term lease. No reason for the sale is listed. The restaurant's "Johnn B. Goode" food challenge was featured on the second season of Man Vs. Food on Food Network. Participants are challenged to eat a 4.5 burger with 1.5-pound plate of chili chees fries and a 16-ounce milkshake in thirty minutes. If they make it, they get that meal free, plus a free t-shirt and a free guitar (and, probably, some heartburn). 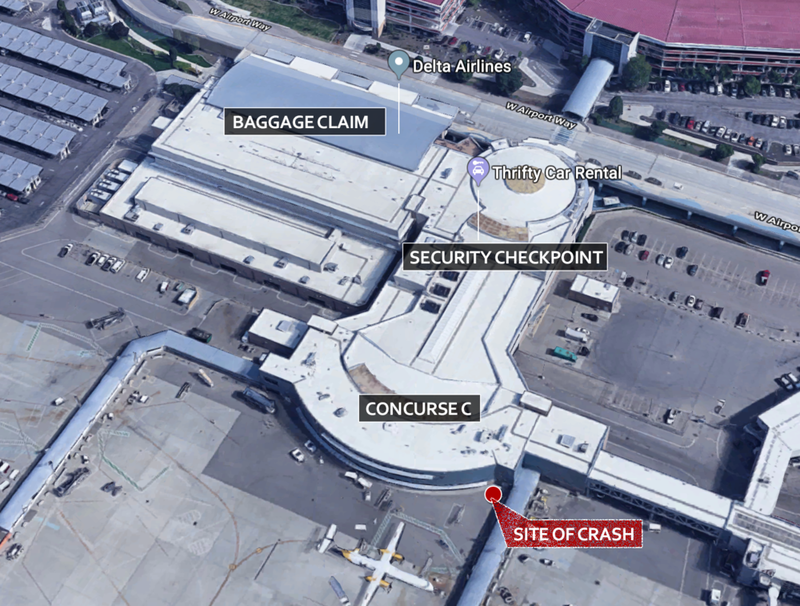 According to police reports obtained by BoiseDev, just before Christmas, crews with Alaska Airlines parked a truck near Concourse C and went about their duties. The truck, a 1990 white Ford, then rolled backwards 175 feet without a driver or passenger inside and bashed into a cinder block wall. 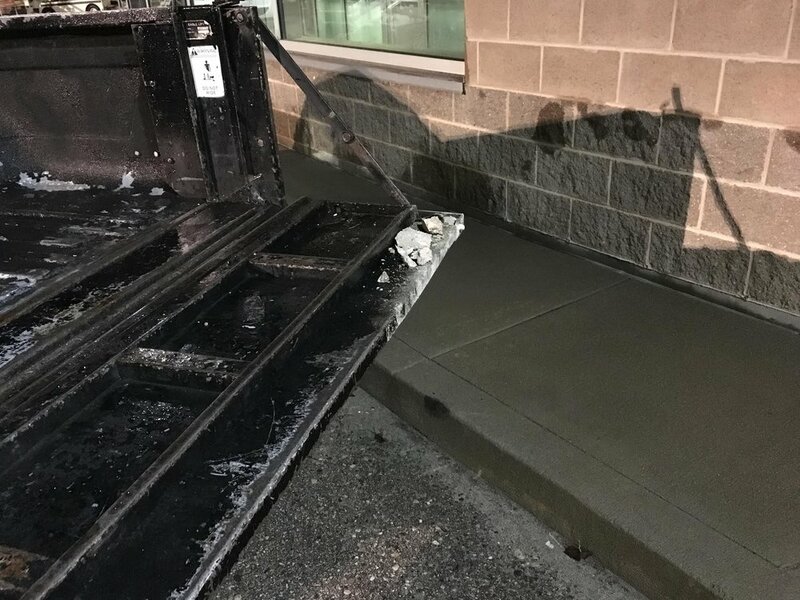 The tailgate was down on the pickup and hit with enough force to cause damage to both the outer wall and inner drywall. 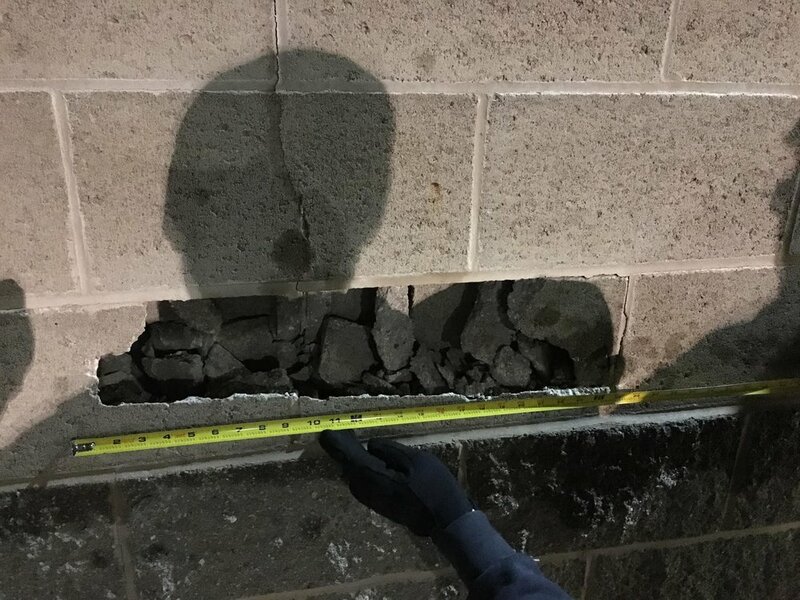 Police photos provided to BoiseDev show several cinder blocks crushed by the tailgate, with a noticeable vertical crack emanating from the area of impact. Inside the building, the drywall is cracked with a portion pushed out. Damage appears to have also extended to a portion of the ceiling. The incident happened around 6:30 a.m on December 20th. near the tarmac loading area commonly used by Alaska Airlines. The police report says the truck had not been chocked. No charges were filed at the time. 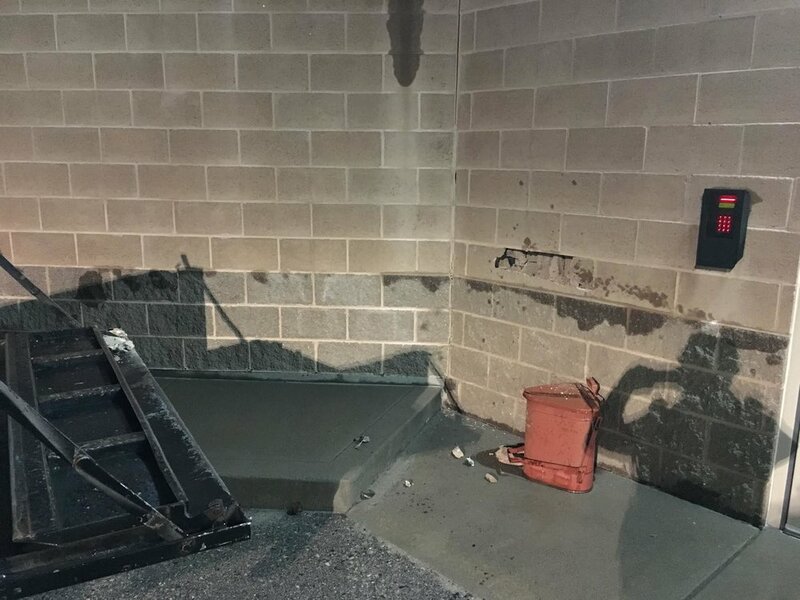 Airport spokesperson Sean Briggs said there were no injuries from the incident, and that costs of the $50,000 in repairs will be charged to the tenant. When you think of Boise icons - the Depot, Statehouse and Blue Turf probably come to mind. One thing that is iconic - if not in a good way - is the oil and gas tank farm on the Boise bench. 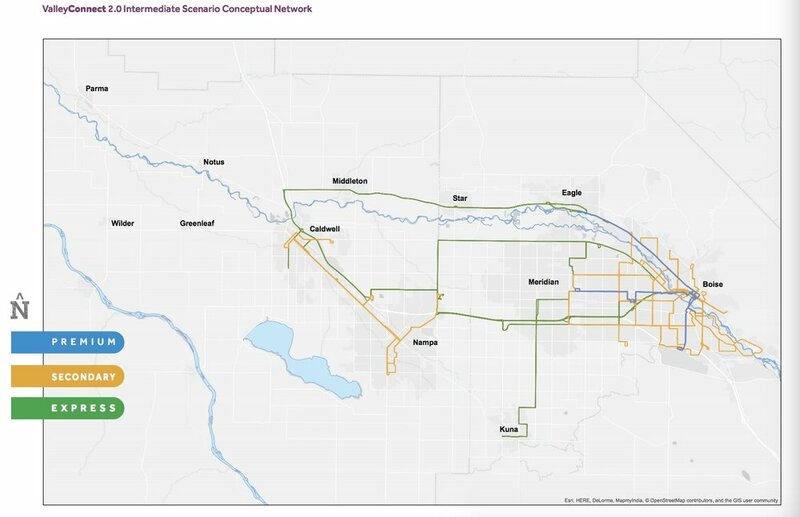 It's not exactly a shining point of civic pride, and city leaders are eyeing the idea of moving the hub for oil and gas in the Treasure Valley out of the heart of the bench to land near the Boise Airport. 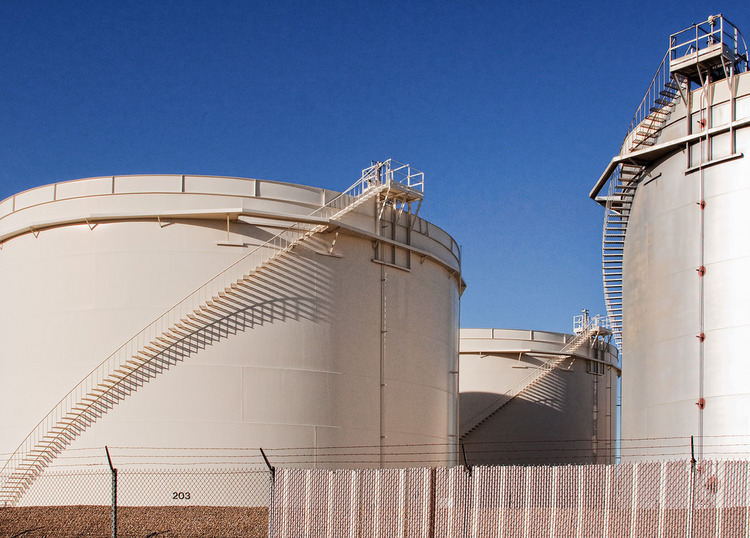 "The industrial use of tank farms is no longer compatible with this neighborhood in the geographic center of the city," Boise City Council President Pro Tem Elaine Clegg told BoiseDev. "The residences and small businesses are impacted by the tanks, but also importantly the tank operations themselves have difficulty moving fuel and support vehicles through the neighborhood." Clegg says finding a new spot for the tanks makes sense. "The city is doing due diligence on a number of fronts especially regarding financial viability," she said. More than 40 tanks are spread across the area, along with related facilities. Fuel is pumped via pipeline from Salt Lake City and distributed via trucks to gas stations throughout the greater Boise region. A new urban renewal district could be created to include the site and surrounding area - analysis of that idea is also underway. This year, the City of Boise is looking at both relocation and how the sites could be revamped when - and if - the tanks are demolished. "This area of the bench has long been mentioned, for 20 years or so in my memory, as a location for a new URA district," Clegg said. "If this project were to go forward it would only make sense to include it in any bench URA district." CCDC Executive Director John Brunelle said there has not been any movement at his agency for a new urban renewal district just yet. A draft of the proposed area from 2016 was obtained by BoiseDev, and includes the tank farm areas. Boise Airport director Rebecca Hupp said it's still in the early stages of using airport land to relocate the tanks. "The project is currently in a preliminary due diligence phase to determine if a relocation is even remotely viable," she said. Hupp said the airport owns about 5,000 acres in total. "There is sufficient and compatible land available to accommodate the proposed purpose, but no specific sites have been selected." A facility at 321 N. Curtis Rd. 18.6 acres, owned by Sinclair Transportation Company and valued at $2.963 million according to the Ada County Assessor. An 8.91 acre swath of land at 712 N. Curtis Rd. at the corner of Emerald St, also owned by Sinclair, which is said to be worth $2.1 million. A bundle of parcels at 201 N. Phillipi St. totaling 15 acres owned by Tesoro, valued at $1.7 million dollars. The farms have been part of the Bench area since the 1950s and are the dominant feature of Curtis Rd. between Franklin and Emerald, with some limited light industrial and office uses nearby. The former West Jr. High site is being redeveloped into a multi-use project by Hawkins Development Co across the street, which could serve as an initial development catalyst. The idea has been percolating for most of Boise Mayor Dave Bieter's tenure as mayor. A resident approached Bieter with the idea in 2006 according to a Boise Weekly story at the time. A Subway sandwich shop located inside the Saint Alphonsus Regional Medical Center campus in Boise has closed - but will soon be replaced. The hospital system will take over operation of the restaurant and operate it as "Bistro 10 fifty five" - referencing the hospital building's street address on Curtis Rd. A remodel project will cost about $136,000 and will remove seating to create a take-away service-only restaurant. Fish market Reel Foods has left Downtown Boise for a new home on the Bench - moving to Boise's Vista Village. The restaurant will open at 1118 S. Vista, in the former Blimpie space. The sandwich chain moved next door and consolidated with a Moxie Java coffeehouse last year. Reel Foods closed its downtown location on Capitol Blvd. on January 31st and plans to open its Vista Village store "soon," but building permits have not yet been filed. An earlier plan would have had 208 Pho and Vegan moving into the space, but that deal did not come through. (Disclosure: My family owns and operates Vista Village). Brad Taylor's tattoo'ed fists, left and the Dickey's BBQ pit bag right have a remarkable similarity. Photos: Ryan Finn Photography and courtesy Brad Taylor. Brad Taylor has a love for BBQ. In 2014, he opened a small restaurant in Boise’s Vista Village serving up barbecue meats and sides. He’s so all-in on the business and the food that he had his knuckles tattooed with the restaurant’s name - BBQ4 LIFE. He uses the image of his clenched fists with the BBQ 4LIFE lettering on a sign in his restaurant and the eatery's website. But early last year, Taylor became aware of some marketing collateral from a much larger competitor that gave him cause for concern. On a commemorative cup for the 75th anniversary of franchise chain Dickeys Barbecue Pit, a familiar image appeared: A set of hands, knuckles out with BBQ4 LIFE tatooed on them. To make it worse, a small character that looked a bit like Brad’s own face with a speech bubble reading “Dickey’s Rocks” appeared between the fists on the black and white cups. The image has a striking similarity to Brad's own brand - both personally and for his business. Taylor worked with his attorneys to see what his options were. But for a small single-location barbecue store to go up a chain with more than 560 restaurants is daunting. After Taylor and his attorneys sent a cease and desist letter last year, they began the process of obtaining an official trademark. Taylor says he hadn’t done this when his business first opened due to resources. A call to Callie Head, Public Relations Manager at Dickey's in Dallas was not returned. Taylor hoped things would die down after the cease and desist letter last year. But in January, he again saw the knuckles drawing. 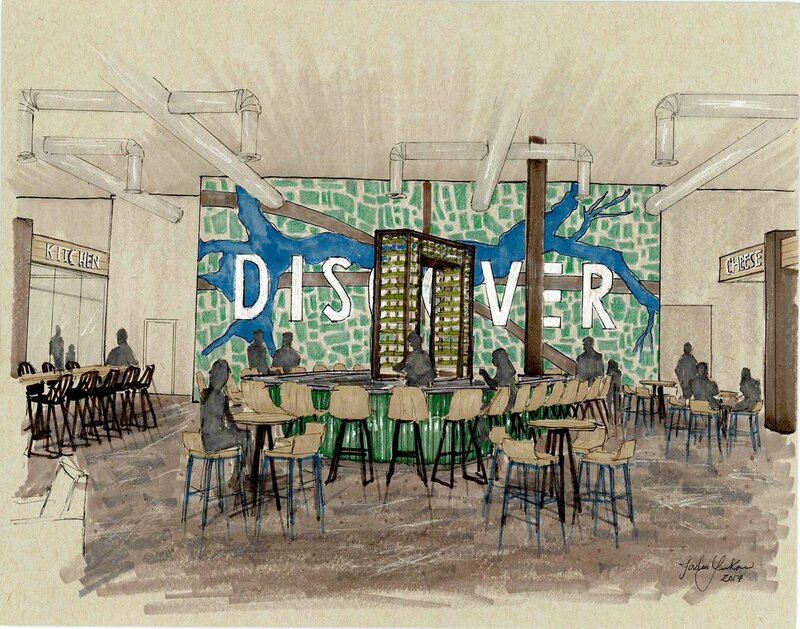 Taylor and his company have the contract to operate the kitchen for the Ironwood Social event space in Garden City. A group had booked the venue and said they had a connection to the local Dickeys franchise and had them cater the party. He thinks it can lead to confusion for people who have heard of his store. “If you’ve heard of BBQ4 LIFE - then you’re looking at those bags and thinking “brad endorses Dickeys,’” he said. “I in no way endorse their food." Taylor says he doesn't think the duplication was fully intentional - but suspects maybe it was a graphic designer who wasn't as careful as they should be. "My suspicion, having seen people who do marketing work, is that a designer popped online, saw the knuckles and my face and thought 'I’ll build something off of that.' I don’t assume that they saw me and were like 'we are going to copy him.'" Whatever led up to the graphic similarity, Taylor doesn't feel great about his options. TradeViet Specialty Asian Foods is taking over the old Hastings Entertainment space on Overland Rd. in Boise. The large former books and music store has been transformed into a specialty foods grocer focusing on Asian products, as well as a new restaurant facility. Hastings left the Treasure Valley in 2016 - leaving medium-sized box spaces open in a variety of areas. In SE Boise, the store was converted into a new D&B Supply, while the store on Fairview is slated to be partially demolished to make way for CVS. Another, slightly smaller, Asian supermarket is planned for Cole Rd. and Ustick in Boise - part of an idea to remodel a shopping center with Asian-style architecture. College In And Out. The Wave. Chow Now. Rockie's Diner Fairview. The business acted as a nostalgia hub for the Boise Bench - hosting those Saturday night hot rod shows and even giving a stage to Statesman columnist Tim Woodward's class rock band The Mystics on occasion. The business' phone was disconnected, and efforts to track down owner Rennie Cloninger were not successful. The Southwest Idaho Advanced Care Hospital on Franklin Rd. in Boise is closing this winter, according to a filing with the Idaho Department of Labor. Ernest Healthcare LLC told the State it would close the hospital and lay off 135 employees in coming months. The filing was made under provisions of the Worker Adjustment and Retraining Notification act, which requires employers cutting more than 100 employees to give 60 days notice of the closure. The WARN filing for the Boise hospital was made January 3rd. The Boise location will not remain empty long, as Vibra Hospital of Boise will leave its current location on Bonita Way in Meridian to move to the Franklin Rd. complex. The Vibra hospital will decrease from 60 beds to 40 as part of the move. Both the Franklin Rd. and Bonita Way hospitals currently serve as long-term acute facilities - a place for patients to go who need long-term care from injury or illness and are discharged from larger hospital facilities like St. Luke's or Saint Alphonsus. "We are constantly evaluating our portfolio to look for ways to more efficiently provide services in our communities," Vibra Divisional President Sean McCarthy said in a prepared statement. "This consolidation of services gives us the right number of beds to meet the needs of patients in the Treasure Valley and throughout the state of Idaho." Ernest Health officials did not immediately return a request for further comment. The 125 job cuts are the most for a Boise-area employer since Motive Power laid off more than 200 people in early 2016, according to filings with the Idaho Department of Labor. ES-O-EN, the local Taco Bell franchisee plans to tear down the store on Overland near I-84. "The existing Taco Bell building is a building that has gone through several tenants and remodels and the owners have decided to tear it down and rebuild in the same location since the current building would need extensive repair work completed," the applicant wrote in its letter to city staff. The current orange-dominated exterior would be replaced with a newer earth tone palette with purple accents. The current drive-through lane and parking features would be retained - with adjustments to landscaping and other features. Poke Fish Bar planned for Vista Ave.
Boise is set to get another palace of poke. The former Right on Time Clock & Watch Repair shop on Vista next to Bruneel Tire will be remodeled into a new restaurant for Fish Poké Bar. A $50,000 remodel will convert the shop into a restaurant with capacity for about 48 people - in a style described as "similar to a Subway," according to permits filed with the City of Boise. The applicant is the Qui family - which currently operates the Panda Garden restaurant on Overland Rd. Separately, Michael Deeds notes that Paddles Up Poke, which opened a location downtown this year, is set to open a second location at McMillan and Eagle. The public market concept slated for the Boise Spectrum has a name and scheduled opening date. Boise Spectrum owners DD Dunlap Companies have struggled to fill vacancies at the center since purchasing it from Hawkins Companies. When it first opened, the Edwards Cinemas-anchored village space featured Jamba Juice, Moxie Java, Pronto Pups, Yen Ching, Game World, Goodie's and even a pair of live radio stations. In years since, the retail environment has declined and all the above tenants have moved out or closed. Some have been replaced, and others spaces have sat vacant for years. A remodel in 2015 hasn't filled all the empty spaces, so the ownership group will push together four empty stores to create the new 7,200 square foot public market. Chow Public Market + Eatery is now slated to open in May, 2018. Plans indicate the new project will include a bar, market, food court and retail space. The remodel will cost about $650,000. "It’s different than a local farmer market or chain franchise," owner Nicholas Jones wrote in a blog. "The Chow Public Market and Eatery is focused on connecting people and providing a place where people can come relax, drink and eat. You can even do a little shopping for high quality local goods while you’re there." The concept could have company - from the former owner of the Spectrum complex no less. Hawkins Co. is shopping a covered market in an area with built in foot traffic along 8th St. in its newly acquired Capital Terrace building. The old Kmart space on Fairview Ave. at Five Mile Rd. is being repurposed for a number of new uses - the latest of which will bring a hardware store to the area. The Idaho Youth Ranch, Johnny's Fit Club and a church had previously been announced - but permits indicate a new Ace Hardware will slot into the corner space behind a new Maverik station. Kmart left a large 84,000 square foot space behind, and the center's owners decided to split the space up into multiple pieces. Pizza Hut shifted from sit-down restaurants to carryout for most of its locations in the Treasure Valley. Some of the former Huts have been torn down, others remain vacant - and some are seeing new uses. The former location on Vista Ave. near Malad St. in Boise is slated to be revamped into Brick Fire Craft Beer & PIzza, according to filings. Parent company Craft 24 signed a lease on the building last summer, and is now prepping to remodel the building. Owner Richard Nichols included a menu of the "Detroit style pizza" with the building permit (not something I've ever seen before). This is why exists: to ENJOY different styles pizza. It’s called square but it’s really rectangle and baked in metal trays, just the ones used on the automotive lines at the Big Three. But instead of being filled with metal parts, ours are filled with the finest pizza ingredients we could source. We took inspiration and created a version of the Sicilian pizza that has been making people smile in Detroit for over 70 years. A variety of pizzas and salads are planned, as well as 16 craft brews on tap.